Bodog Casino was once known as one of the largest brands in the online gaming world, and Bovada Casino was founded following a corporate decision to give US players a separate establishment, although containing the same games from the Morris Mohawk Gaming Group. Citizens of the United States do not normally have such available options when it comes to the online gambling world, but Bovada is licensed in the jurisdiction of Kahnawake, providing them with a safe and secure location to play their favourites. The platform has been online since the year of 2011, and its only restricted country is Canada. The great thing about this platform is that it not only offers one or two of the regular depositing methods, but players can also make use of Bitcoins to fund their accounts with. 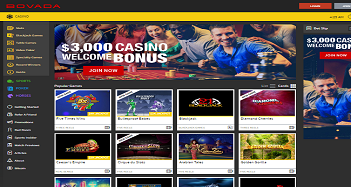 The casino site itself is very professionally designed, featuring an easily navigable home page. Not only is there a casino available, but there’s also the possibility of accessing separate sub-sites for sports betting, poker games and horse racing. 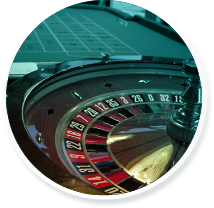 The casino’s games are separated into six different categories, each of which can be accessed from the left hand side menu. Meanwhile, there’s a banner across the top advertising the welcome bonus offered, as well as the most popular games displayed below this, allowing you instant access to them. Everything is crafted in the basic colours of grey and yellow, save for the casino’s logo, and this makes it easy on the eyes. Bovada Casino is just like any other gaming site out there, providing promotions to its players to be readily taken advantage of. 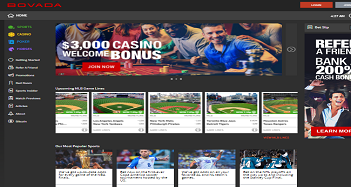 There are four different welcome bonuses available, although two of them are relative to the sports and poker sites, respectively, while the third is offered for referring a friend to the site. The remaining one is all relative to the casino though, and this is divided in to two different options depending upon the type of bonus you’d like to receive. If you’re interested in spending your bonus funds on slot games, you simply need to use the code SLOTS500 when making your first deposit and you’ll receive 100% bonus up to $500. The alternative is to use the code GAMES250, which will give you 100% bonus up to $250 to use on any other game available. Each of these can be used up to four times, meaning that you have eight welcome bonuses to receive! There are further bonuses to take advantage of on a weekly basis as well, which cater to regularly returniing players. These include such options as ‘Table Mania Tuesdays’, offering you a bonus for playing table games, and ‘Reel-It-In Thursdays’, providing you much of the same for accessing slot games. There’s also a loyalty program which you’re signed up to as soon as you start playing. This gives you points for every $10 you bet in the casino, and 100 points are equal to $1 in casino bonuses. As far as depositing funds in to your account at Bovada Casino goes, you’ll find that there is a small but nice selection to choose from. The regular Visa and MasterCard options have been included in the first instance, while bank transfers are also accepted. Of course, as mentioned, Bitcoins are also taken on the platform, and these offer up the only method of depositing which comes without transaction fees. All others offer a free first deposit, but Visa transactions come with a 4.9% transaction fee, and MasterCard has a 6.9% fee. Withdrawals can only be made via Rapid Transfer or Check by Courier though, so you won’t be able to utilise the same methods for depositing and withdrawing. 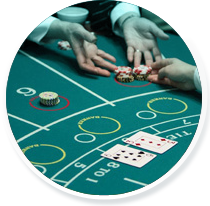 As far as receiving the necessary support from the casino, you can first of all view the included FAQ section to find the answers you need. Alternatively, if you’d prefer to speak to an agent, you can contact them via email or by telephone. The team are available on a 24/7 basis, so you simply need to either fill in the contact form or call 1-888-263-0000 in order to communicate with them. As of yet, there isn’t any live chat feature. 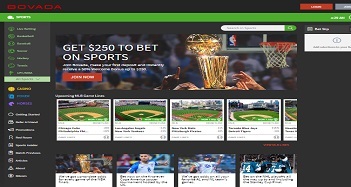 This platform makes use of three different software providers in Real Time Gaming, Betsoft and Rival Games. Because of this, you’ll find a nice choice of high quality products available to access, including both 3D Slots and standard Slots. In these categories, you’ll find products such as ‘At the Copa’ and ‘Event Horizon’, as well as ‘Arabian Tales’ and ‘Dragon Princess’. The game of Blackjack has also been provided with its own category, offering players a choice of six different variations, including ‘Perfect Pairs’ and ‘Double Deck Blackjack’. Not only that, but there’s a nice choice of table games available to players as well, with titles such as ‘Caribbean Stud Poker’ and ‘Craps’ being available to hand. Video poker has also been given its own category as well, and gamers will be able to access a selection of 17 different products in this area. Finally, there are several different speciality games included in the platform’s offerings, including titles such as ‘Beach Bums’, ‘Penguin Payday’ and varieties of bingo products alongside. Bovada is a wonderful casino on the whole, although the absence of a live chat feature is a little disappointing. However, by providing the option to deposit not only in the credit or debit card manner, but by the more modern Bitcoin option, registered gamers have a choice of how to fund their accounts.